Monster Hunter: World's Geralt quest line is a special quest that allows the player to take control of Geralt and use the weapons within Capcom's game. However, you'll have to face a supercharged Leshen in the finale. Here's how to defeat it. Use your favorite weapon, there's no wrong weapon here. However, the Leshen requires Geralt's Igni fire attack to destroy its defensive. The Leshen will constantly use birds as a barrier to prevent Geralt from attacking, it's annoying due to the spell's charging period but to necessary maximize damage. 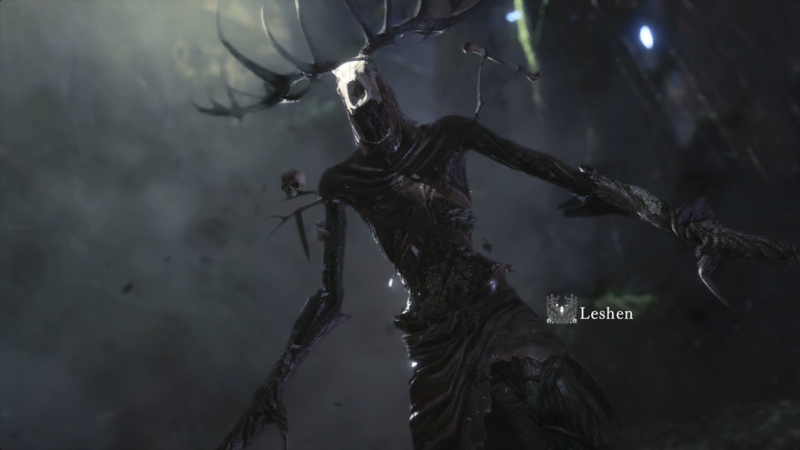 The Leshen has 2 primary attacks, a swing and summoning roots. During the first phase, it'll summon roots around its body and towards Geralt. After using Igni the Leshen will swing its mighty arms at you within 6 seconds after being burnt, if it makes contact you have a chance to take bleeding damage. It'll also summon adds to defeat itself but these are weak cannon fodder enemies. The Leshen will teleport 3 times before the final battle, using the same tactics until the finale. During the final battle, which takes place in the starting area of the Ancient Forest it'll start to direct the birds at Geralt and use them to cause consistent damage. Igni is paramount here or you will die, in addition, use the vitality flowers to regain health if you don't have any recovery items. onster Hunter: World is no stranger to collaboration events, with Street Fighter, Horizon Zero Dawn, and Final Fantasy included in the many special events.